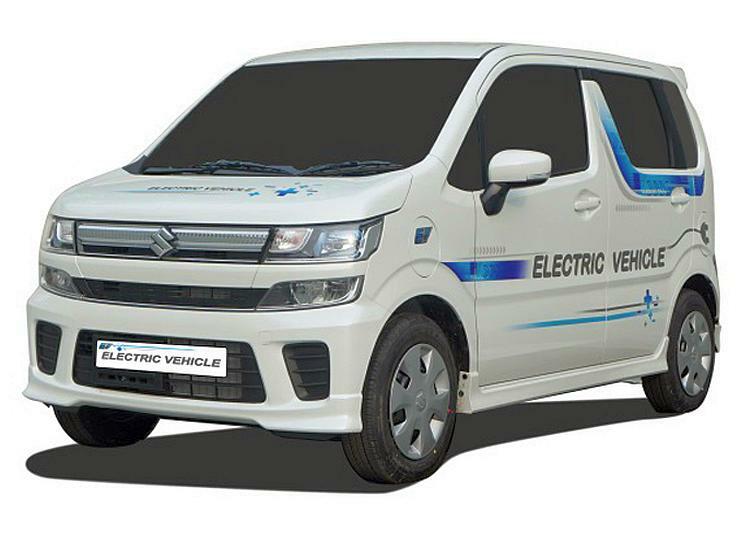 Maruti Suzuki’s first electric car for the Indian market will be the WagonR EV. The automaker has just revealed the car. 50 units of the WagonR EV will hit Indian roads for the next year and a half as a part of intense testing ahead of the official launch. The car will be launched in April 2020, and is expected to be priced very competitively, for an electric vehicle. What this rider indicates is that the WagonR EV will cost nearly double the regular version. This is because the cost of batteries remain high. The low volumes that electric cars are likely to sell at during the initial years is also a major reason for car makers not being able to reduce prices. The WagonR EV will be based on the 6th-generation WagonR, which is already on sale in Japan. The petrol-powered version of the 6th-generation WagonR will be launched in India early next year. Like the petrol-powered model, the electric variant will have airbags and ABS as standard, and will meet the upcoming BNVSAP norms. Suzuki and Toyota are now in a partnership to share technology, and the WagonR EV will benefit from this partnership. The lithium ion batteries used in this car are expected to come out from the new battery factory that Suzuki and Toyota’s auto parts arm – Denso – have set up at Sanand, Gujarat. Local manufacture of the lithium ion batteries, along with a hefty subsidy offered by the Government of India under the Fame-3 (Faster Adoption and Manufacture of Electric Vehicles) scheme are likely to make the WagonR EV relatively cost-competitive. What will be interesting to see is the range of the new EV from Maruti. Anything less than 100 kilometers will make the car strictly a city runabout and it remains to be seen how Maruti tackles this issue. A higher range of about 200 kilometers has the potential to make the WagonR EV a mainstream car considering the fact that most buyers opt for it as a city hatchback.